Product prices and availability are accurate as of 2019-04-21 01:53:51 UTC and are subject to change. Any price and availability information displayed on http://www.amazon.com/ at the time of purchase will apply to the purchase of this product. 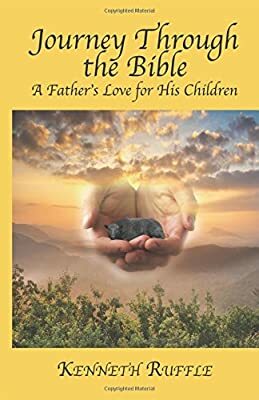 Author Bookstand is proud to offer Journey Through the Bible - A Father's Love For His Children by Bookstand Publishing. Bookstand Publishing offers books by the best indie authors throughout North America and the world. Bookstand Publishing is dedicated to offering original content to a broad audience and promoting great authors, literacy, and freedom of expression. Journey Through the Bible - A Father's Love For His Children has generated a lot of interest and excitement and we think it would be an excellent addition to your library. This book is written in the hope that people will gain a better understanding of how and why our Heavenly Father loves His children, the righteous, and the unrighteous. This journey begins in the Book of GENESIS and ends with the Book of REVELATION. This extensively researched study brings to light how those who put their trust and faith in GOD were always treated well; even the wicked would share in the blessings until the LORD decided that enough time had passed for them to change their wicked ways. He would stand to the side while He watched His children make their choices and saw the consequences that would follow. He never left them; in fact, He would wait for them to realize their mistakes and call upon Him and be their Father again. His punishments and anger, which the people brought upon themselves, were meant to teach them that they were wrong to leave His protection and blessings. From GENESIS through REVELATION, His one message has been to love Him and our neighbors. If we do this we shall inherit the blessings promised to us. May this this book encourage you to open your Bible to learn and discuss the many topics found in God's Word.